The event planner has a huge workload that isn't always appreciated by an event's attendees. With everything you have to consider, the last thing you want is to find yourself having power issues on the day, particularly if electricity is a significant factor in the outcome of the event. If your outdoor event isn't a daily or weekly occurrence, your best option is to hire a power generator, or multiple generators. 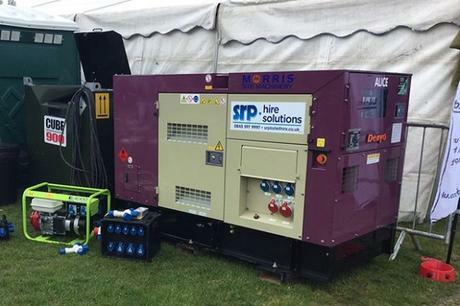 Here is a guide to generator hire for outdoor events. Most quality companies you connect with for generator hire will take care of the equipment from start to finish, but you should gather some information to ensure you're in control at all times. It doesn't require an engineering degree to work with generators; it's a fairly simple process once you understand the fundamentals. If you do find yourself having to assemble and manage the machines yourself, here are some tips. When you hire generators, your equipment won't be delivered completely unassembled. The main generator will be intact, but you may have to assemble the accessories. If you have to mount the frame, follow the instruction manual carefully. You may have to assemble wheels, support legs and handles. Add the required amount of oil for the model you have. Most have an indicator to show how much to pour; check the oil level before every use and change after 20 hours of continuous running. Follow instructions when adding fuel. If the company doesn't provide fuel, it's good practice to use high-quality fuels to avoid unwanted issues arising. Never overfill a fuel tank, as it might clog the air filter system. Write a checklist of items that will be powered by a generator. Verify the wattage requirements of each item. Add the requirements for each item together to ascertain the numbers of KW/KVA you will need. A good company will provide a comprehensive list of their generators, showing important data like model, KVA, dimensions, weight and tank capacity. Once you've done the maths, you should have an electrician double-check to ensure you have made the right selections for your needs. Generators are built for safe use, but you are still working with highly flammable substances and must follow safety guidelines at all times. Most generator hire companies will provide specialists to help with setup and maintenance, and you should use this assistance if it is available. Generator hire for outdoor events is often a requirement, and most companies will help you ensure everything goes down without a hitch. But it pays to have an understanding of the running, maintenance and safety requirements of the generators at your event, so that you can keep on top of everything and always know what needs to be done.